We curate products across skincare, makeup, nail care, fragrance and wellbeing, with the goal of showing you something different that delivers exceptional results. You've got high standards and so have we. Our product mix of cosmetics, fragrances and accessories appeals to the glamour gal in women of all ages. Products like boo boo zap, the super strength blemish blaster, and dr. feelgood, the ultimate skin mattifier, have quickly become every woman's best friend. Plus, gals love to laugh over names like "touch me then try to leave" cream and an eye shadow called "my date's my brother." You can always expect the unexpected from Benefit. Luxury Hair Beauty products delivered to your door. With exclusive salon only brands such as ghd, Redken, Aveda, Kerastase, Dermalogica, Fake Bake many many more. 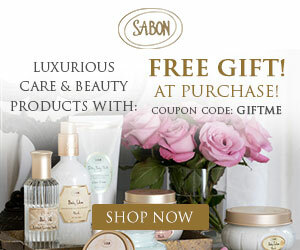 Each unique Sabon scent collection is carefully created from highest-quality aroma extracts from around the world, by an international perfume expert. Careful consideration is given to every ingredient. Cowshed is a range of natural, therapeutic plant-based products with cheeky names but serious benefits. They use organic, wildcrafted and fairly-traded botanicals from sustainable sources, without the use of synthetics or preservatives. Made in England. Buy from this high street store online. Choose from collections in Woman, Body, Bags or Home. You can now shop online for hundreds of gorgeous, innovative, sweet-smelling products that do exactly what they claim to do, inspired by nature, ethically made. All of your favourite products, 24/7 shopping, delivered direct to your door.